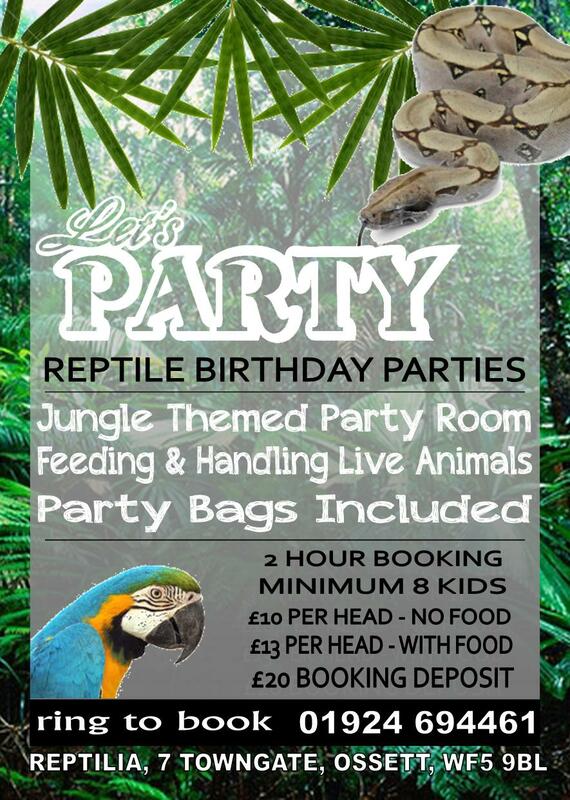 One of the things we offer, here at Reptilia, is the chance to be able to book a birthday party for any kind of animal lover! 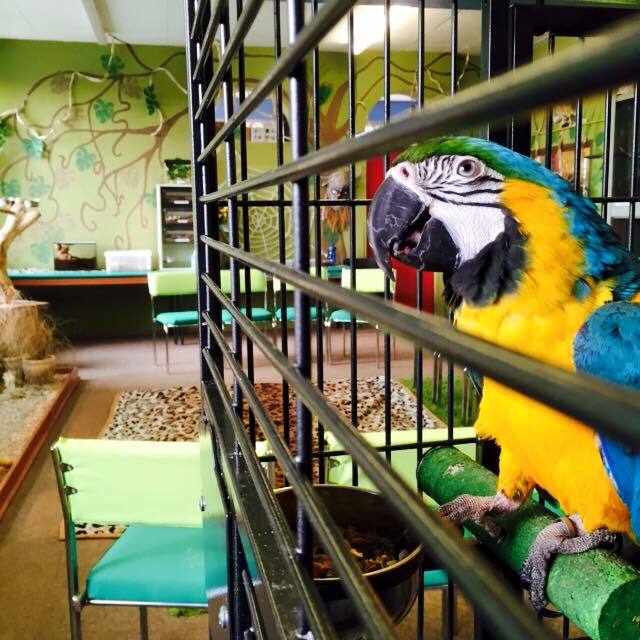 We offer the opportunity to feed, handle and interact with a wide variety of animals from reptiles to invertebrates! 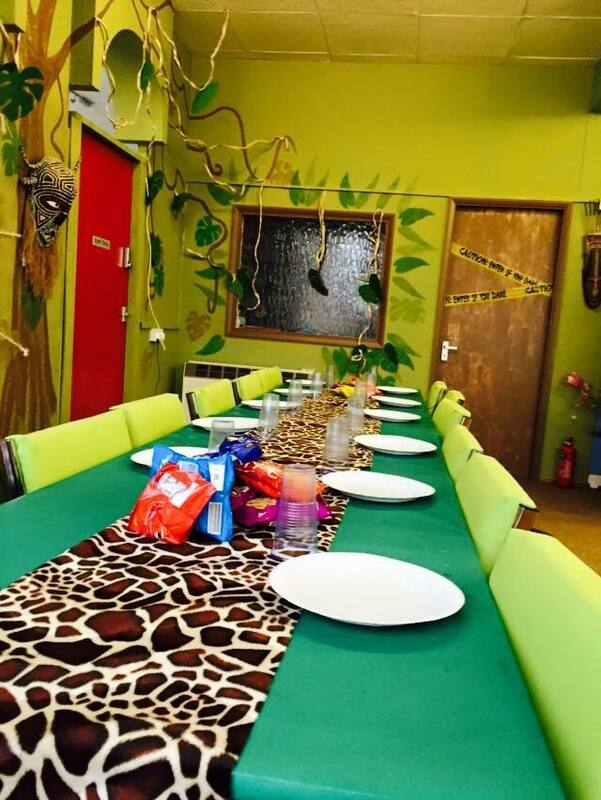 You will get the chance to look around our jungle themed party room that is filled with animals and over the course of the party, get a couple of them out to handle. The animal activities will last for an hour and a half and then 30 minutes for party food if you do wish to choose this option. Due to the risk of cross contamination we provide hand sanitizer and the facilities to wash your hands before and after any interaction with animals. Our food option is all cold food and we offer: ham sandwiches, cheese sandwiches, sausage rolls, party sausages, bag of crisps, selection of biscuits and muffins. Our party bags contain: A party leaflet, a small toy, selection of sweets, lolly. 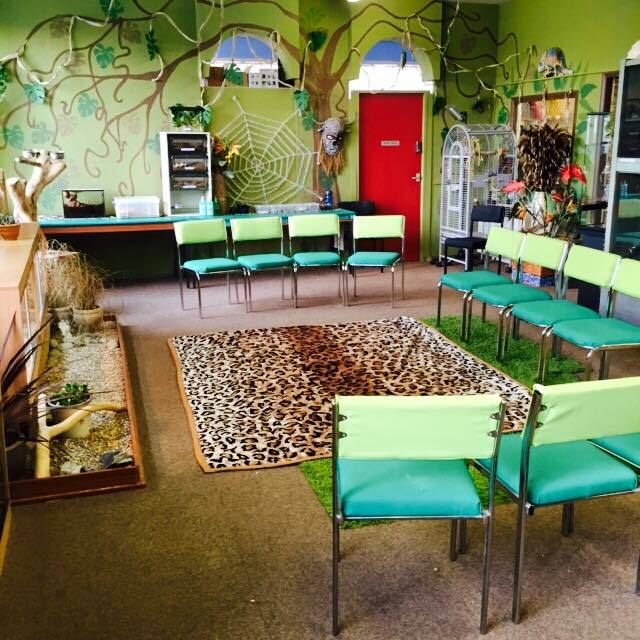 We recommend a maximum of 5 adults upstairs to make sure we comply to our fire regulations, this also frees space to be able to get out some of the larger animals. PLEASE NOTE: There are birds situated around the party room that all consume nuts, please be aware if anyone has a nut allergy they CANNOT participate in a party. This also stands for any other allergies that may be affected, please feel free to give us a call to ask any questions. FOOD ALLERGIES: Unfortunately we CANNOT cater for anyone with particular food allergies. We can answer any questions in terms of the ingredients in the food we serve, please just call to ask. If you do choose to book a party with us, we ensure a truly memorable experience and don't forget to bring the camera! !